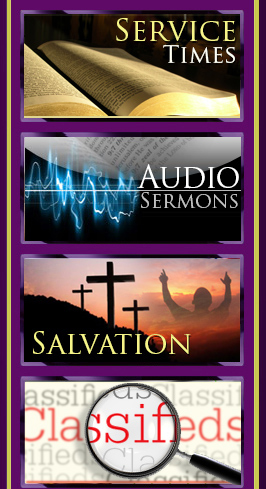 The Church of the Living God (CLG) Full Gospel Ministries is a Bible believing International Church. The church has its headquarters in Hyattsville, MD and is headed by the founder and General Overseer - Rev. Dr. Stephen Gyermeh. There are branch churches in Atlanta, Chicago, Fairfax, Detroit, New York, Newark, Columbus, Los Angeles and Richmond. CLG Ministries has expanded internationally with 5 branches in Ghana and a branch each in Kenya and Uganda. The Richmond branch was first born as an idea by the General Overseer who was visiting the California branch at that time. He had a few discussions about his idea with Brother Ofori who was then relocating to Richmond, VA from California. After a year of fasting, praying and seeking the direction of God about the Richmond branch, Rev. Dr. Stephen Gyermeh held the first official meeting upon the invitation of Brother Ofori and Dr. Joseph Appiah, his prayer partners at his residence in Richmond on July 4, 1997. Also present at that meeting was Pastor and Mrs. Gyimah and some elders from the Maryland Branch. Shortly afterwards the Richmond Branch was inaugurated on October 5, 1997 at the Holiday Inn located on Parham Road and Interstate 95. At the Inauguration the General Overseer appointed Brother Ofori and Dr. Joseph Appiah to head the affairs of the Branch. During the process of searching for a location for the church, the Appiah's gracefully hosted week day evening services at their residence. The Church moved to the Maude Trevette Elementary School where it celebrated its first anniversary. During the first three years of its existence the branch had no resident pastor and Brother Ofori had also left the ministry. The General Overseer sent Elders Agyemang Prempeh, Chinedum Brown, and Deacon Charles Kwarteng from Maryland to minister to the saints in Richmond every Sunday. Pastor Solomon Sambaya became the officiating Minister from March 2000 through April 2001. During his tenure in Richmond, the branch moved to the G-Clef Music Studio at 9514 Woodman Road. After Pastor Sambaya left for Sierra Leone, Dr. Joseph Appiah was appointed the Presiding Elder. He served in this capacity until Pastor Chinedum Brown took over as an Interim Pastor in 2004 and fulltime Pastor in March 2005. On February 2007, the Branch moved to 8728Landmark Road., before moving to its permanent location at #1 Brenton Street, Richmond in June 2007. God has been so faithful, the Richmond Branch grew from a modest 11 members at its inception to over 120 members now. We give God all the glory.